The punch pot is decorated in a pale slip with panels of prunus and bamboo, the cover with a stylised floral spray. The base is stamped in relief with a four-character seal mark Jingyuan Zhai Jichang. 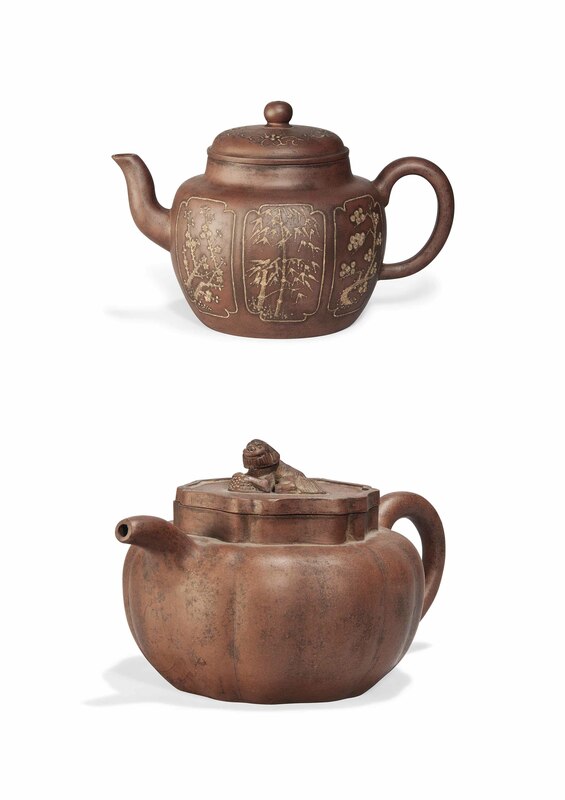 The melon-shaped teapot is modelled with a wavy neck and conforming flat cover with animal finial. The base is stamped in relief with a six character seal mark Shao Quanzhang.